Have you been stumped on how to explain why you left your last job during an interview? In today's episode, J.T. O'Donnell shares her advice on how to correctly answer this question without sounding overly negative. 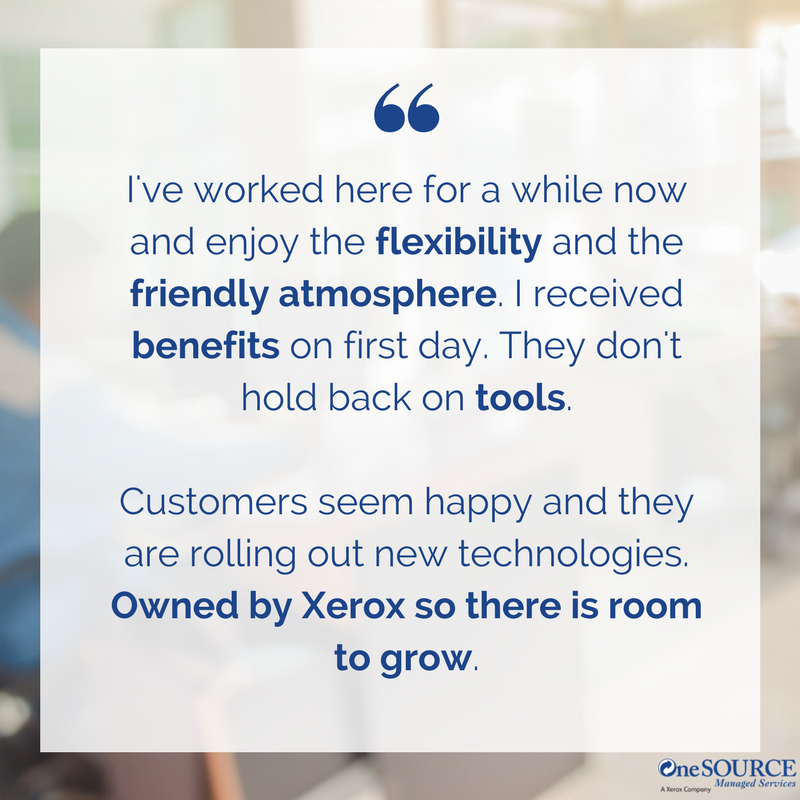 *OneSource is a subsidiary of Global Imaging Systems - a Xerox company. 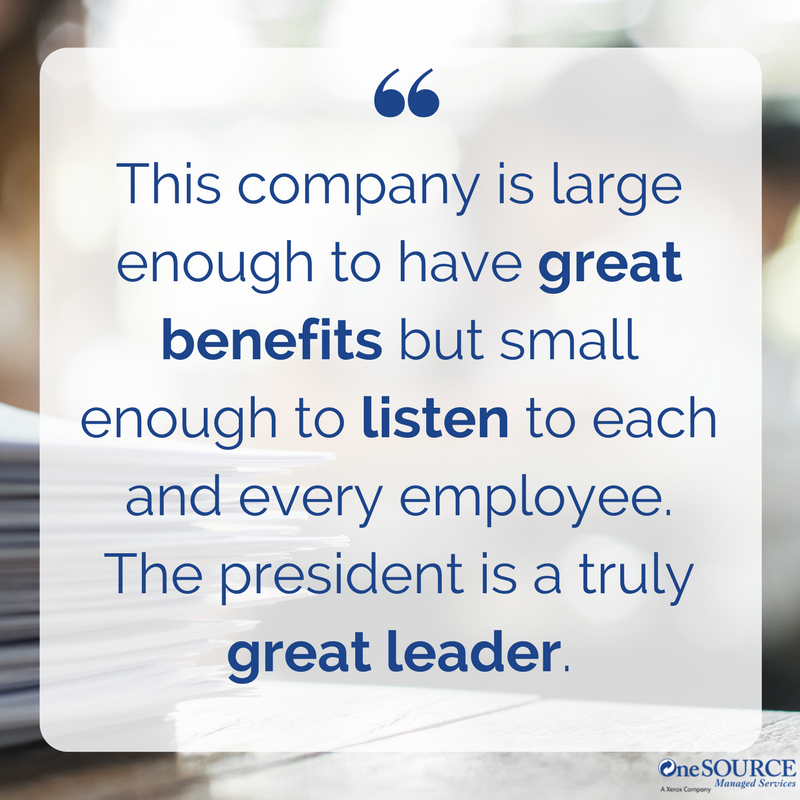 At OneSource, we do not fill empty seats... We hire and develop future leaders! Looking for a professional job in tech sales? The Managed Print Services (MPS) field will have you working with businesses on the tech they use most. At OneSource, you'll be a hero to your clients by saving them time, money, and daily headaches associated with the technologies they need to be successful. Better still, with our extensive paid training and access to resources, you can begin your journey towards a career in management. We love nurturing future leaders! Our suite of benefits helps you keep a great work/life balance, which we consider one of the best reasons to work at OneSource! Paid time off plus 8 holidays total: 7 Federal Holidays, 1 Floating Holiday, and we always finish around noon on day before Thanksgiving, and Christmas Eve. Are you someone who loves to stay up-to-date with the latest trends on social media? Does researching new online marketing tools and strategies excite you? Do you love connecting with people via email and social media to communicate? We are looking for a full-time Social Media & Communications Manager who can bring in fresh perspective and enthusiasm to our company. We’re not just looking to be present on social media, we’re looking to reinvent how people use it to connect with our brand. If you’re passionate about social media, creating new ideas, and connecting with others, we’d love to meet you. Work It Daily prides itself on being a leader in the career services industry. Because we focus on being cutting-edge with our ideas, we’re constantly changing to stay ahead of the curve. Those who thrive at Work It Daily are not only open to change, but are excited by it. Being able to stay on top of ever-changing projects is essential. If changing gears on a frequent basis stresses you out, then we aren’t the right place for you. We work in a tight-knit, collaborative environment. New ideas and suggestions are welcomed, so don’t be scared to push the envelope and voice your opinions to the team. However, understanding how to take constructive feedback and suggestions is a must --- You might have a great idea, but that doesn’t necessarily mean it’s the best idea. We have a lot of fun here, but we always put our work first. We’re a small team and we pride ourselves on doing a lot with a little. Those who thrive here work hard, aim high, and never stop improving. If you’re interested in working with us, please send your resume and cover letter to Jennifer McCann at jennifer@workitdaily.com. We’re excited to hear from you!